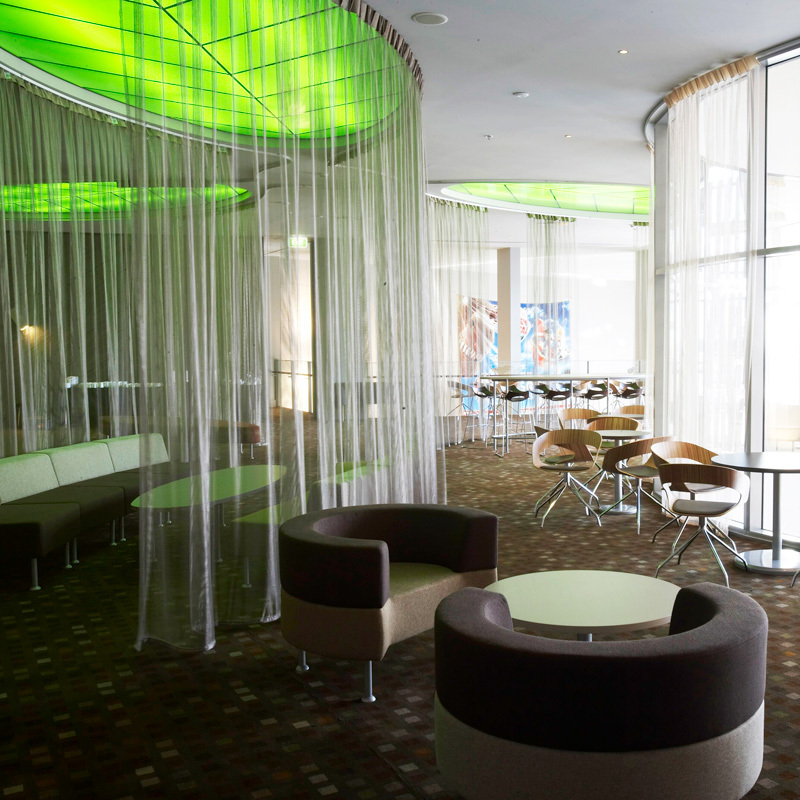 A client brief to create ‘The Best Movie Theatre in the World’ resulted in a unique and totally rethought cinema going experience. Double reclining chair enclosures for VIP class, lush and opulent finishes, two bars, an expansive ticket office area, a beanbag cinema, the largest legroom in New Zealand and the largest 35mm screen in the world: no effort was spared and no creative idea was left unexplored. 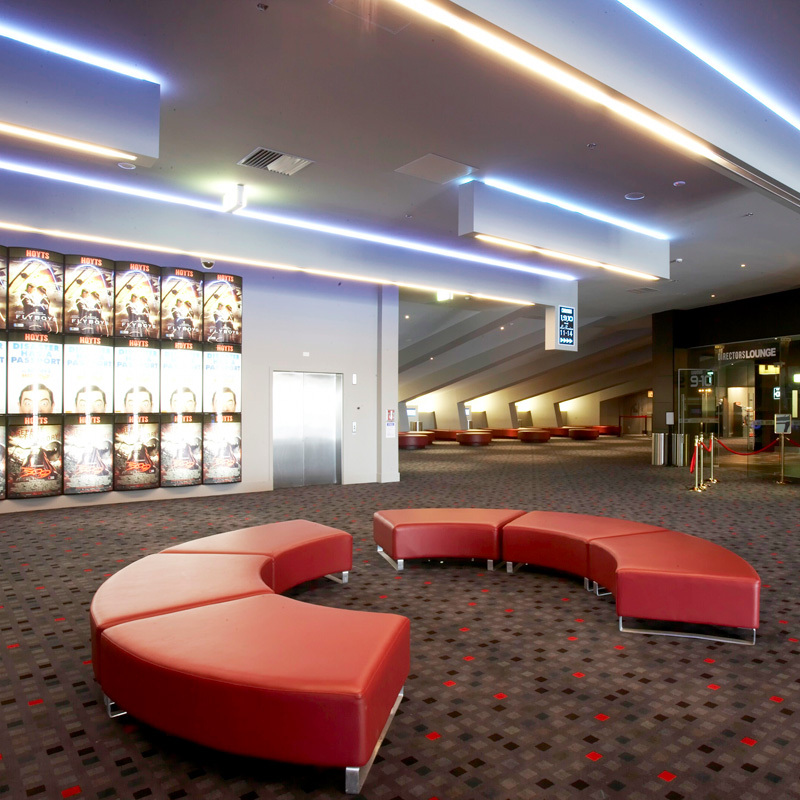 Prior to the work on Hoyts Sylvia Park, upgrades of Hoyts cinemas in dunedin, Christchurch and Wairau Park had been successfully completed.